Mix mayonnaise, garlic salt, salt, and pepper in a large bowl. Add chicken, red onion, celery, and almonds to mayonnaise mixture, mix well. 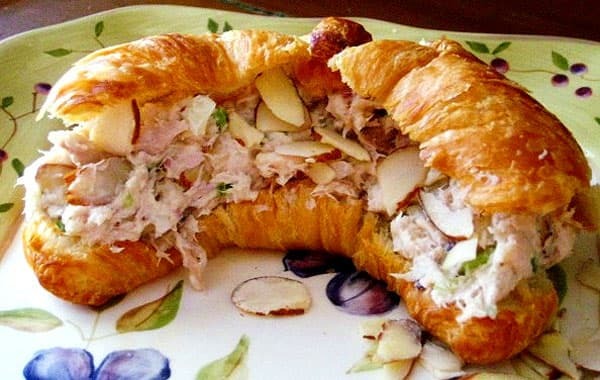 Slice croissants in half, fill with chicken mixture and serve.